macular degeneration (AMD), researchers in Australia have discovered. cent. But women do not appear to be affected. oestrogen which causes inflammation in the blood vessels behind the eyes. over several years and tracked how many went on to develop AMD. concluded that the chronic inflammation caused by obesity was involved in AMD. a man’s chances of developing AMD increased by 75 per cent. report suggests that healthy eating earlier in life helps prevent the disease. involve ‘wet AMD’, which can cause blindness in a matter of months. prevent complete loss of vision. London: How can your weight affect your eyesight? It is common knowledge that expanding waistlines are linked to life-threatening conditions like diabetes, heart disease and cancer. But many of us are unaware that obesity is also linked to blindness and other serious eye health issues. 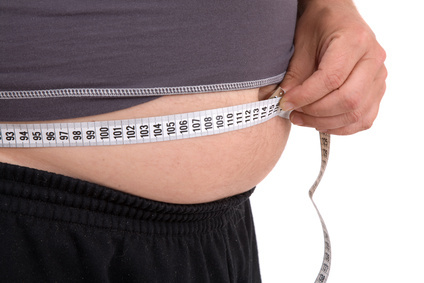 Excess body weight can cause damage to blood vessels in the eye – linked to the onset of glaucoma and diabetes. Studies have also shown people with a high body mass index (BMI) tend to have low macula pigment density and are therefore at greater risk of suffering diseases such as AMD (age-related macular degeneration). Likewise, too much alcohol, too much smoking, and even too much time at the computer screen contributes heavily to losing your eyesight. According to official figures almost one in four UK adults are obese (23% in 2006), expected by the government to hit one in three adults next year. However many Brits are unaware that they even class as obese and are therefore putting their eyes at risk. National Eye Week (9th to 15th November), organised by the Eyecare Trust, seeks to promote the importance of looking after your eyes and making regular visits to the optician. If you are worried about how your weight can affect your eyesight, make sure you log onto our live and interactive Web TV show with a director of the Eyecare Trust Rosie Gavzey and David Dickinson, (pictured) for top tips on adjusting your lifestyle to keep your eyes healthy, advice on spotting on the early warning signs and ideas on how to meet the cost of eyecare and eye wear. Rosie Gavzey, a Director of the Eyecare Trust and David Dickinson, join us live HowObesityaffectsEyehealth on the 9th of November at 14:00 to discuss sight loss and obesity. Lead in drinking water pipes could increase the risk of cataracts, it has emerged. Researchers claim a build-up of lead in the body over the years from older plumbing systems could help trigger the eye disorder. U.S. scientists working on the Normative Ageing Study in Boston checked lead levels in 795 men with an average age of 69. Cataracts were found in 122 of them. They discovered that men in the top fifth of the lead level range were almost three times more likely to have a cataract than those in the bottom fifth. Cataracts cause the eye lens to cloud over, leading to impaired vision or even blindness. Threequarters of people aged over 85 have a cataract bad enough to affect their sight, with women more likely to be affected than men. Another American study – published yesterday in the Journal of Nutrition – suggests eating dark green leafy vegetables, such as spinach and kale, can help prevent cataracts.